In the past, only one reviewer could approve a proof. With this release, every invited reviewer can now mark individual proofs as either "Needs Changes" or "Approved" from the drop down menu available in reviewer mode. Just hover your mouse over each proof to quickly see: who is yet to review, who has requested changes, who has approved. Once you receive approvals from some or all reviewers; as a proof owner you can choose to finalize a proof (or think of it as a lock). Once finalized the proof is locked so no further comments or approvals can be added by reviewers. 📢 Important: What does this mean for you? 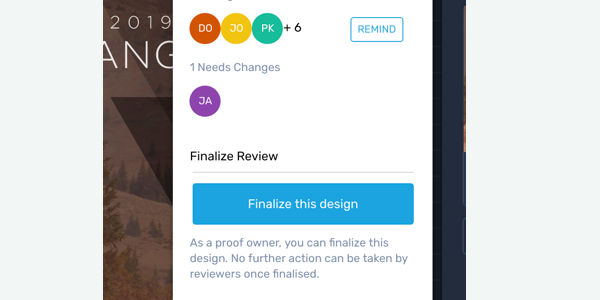 In the past both team members and reviewers were able to approve proofs, however with this release, only reviewers will be able to mark proofs as either "Needs changes" or "Approved"
Internal team members will now be able to finalize proofs (locking) so no further comments can be made by reviewers. The ability to "remind" reviewers is only available to team members on agency plans. We've redesigned the way we capture reviewer information. 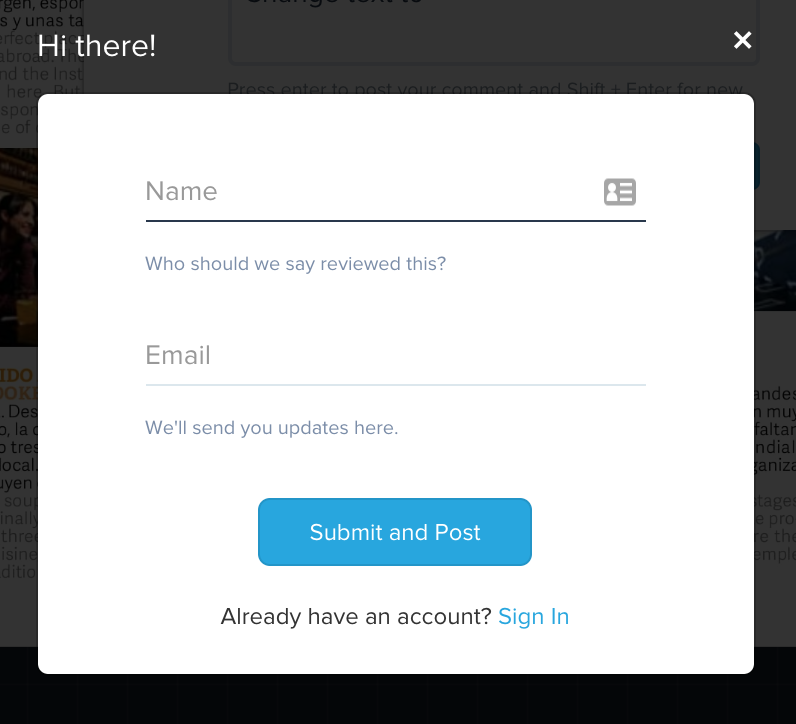 Reviewers can now add a comment using just their name and email address. 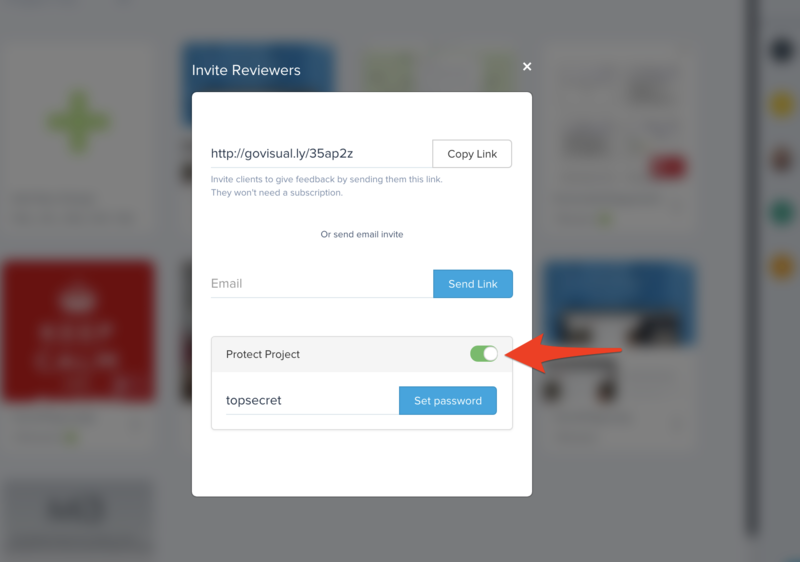 Please note: GoVisually still requires reviewers to set a password to ensure overall security of your proofs and to maintain accountability. Proofing systems are built around clearly identifying users who reviewed, commented and approved the digital asset. Setting a password allows allows regular reviewers to use their credentials to come back in without having to identify themselves over and over again. 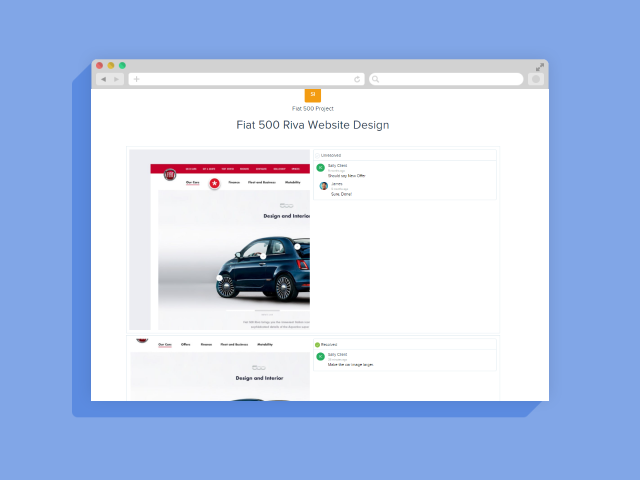 Users on Agency & Agency+ Plans now have the ability to archive projects they no longer need. You can also easily restore projects from the archived section. We've introduced two new zoom controls on the reviewer page: Fit to screen and Original Size. 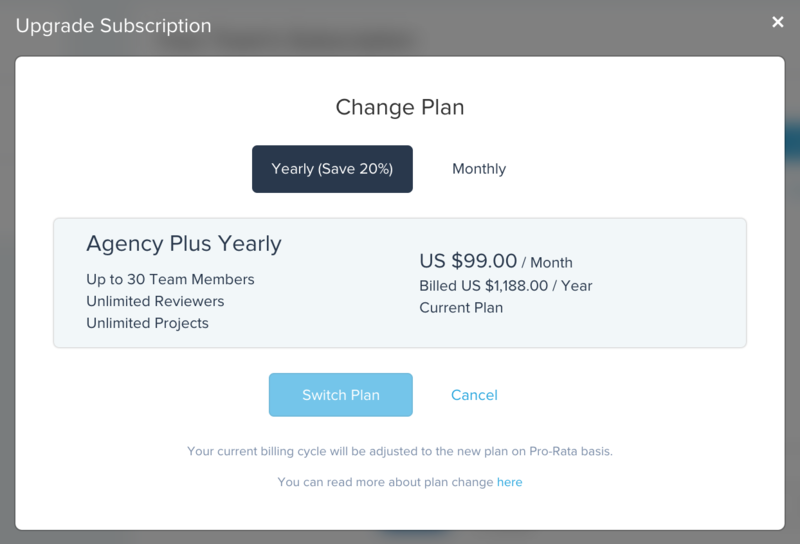 We've redesigned the subscription page for better usability. 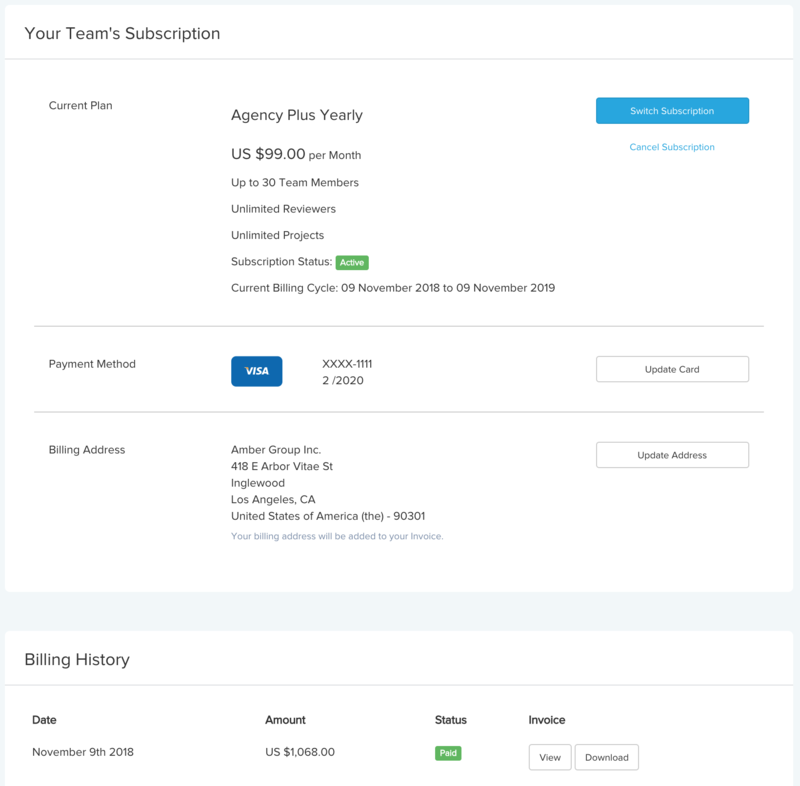 Now view or download invoices directly from your subscription page. Easily upgrade from monthly to yearly subscription. Your current billing cycle will be adjusted to the new plan on Pro-Rata basis. Completely new - Stripe generated invoices and receipts. We've now added a search bar to quickly search for your projects. Revisions now show total revision and current revision. This is the big update we've been working on. We've got lots of exciting new features in this release. Working on a top secret project? You can now set passwords on your project if you're on our team or agency plan. 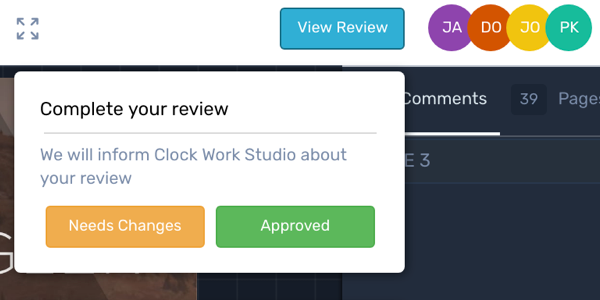 You can now see who Approved ✅the proof directly in the sign-off tab. 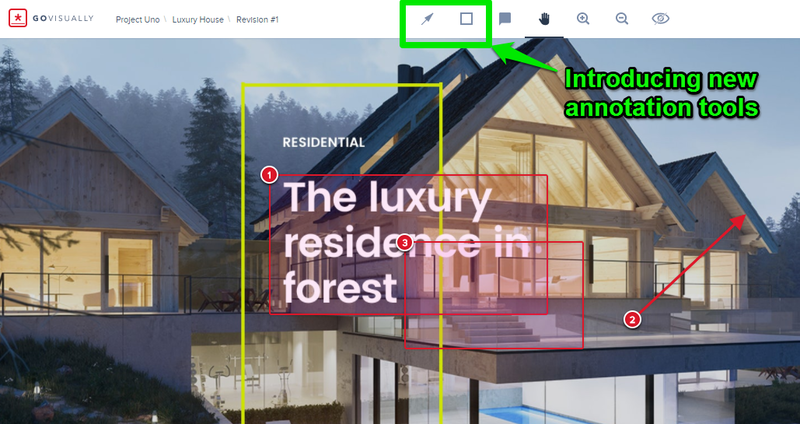 You can upload revisions directly from the thumbnail view. 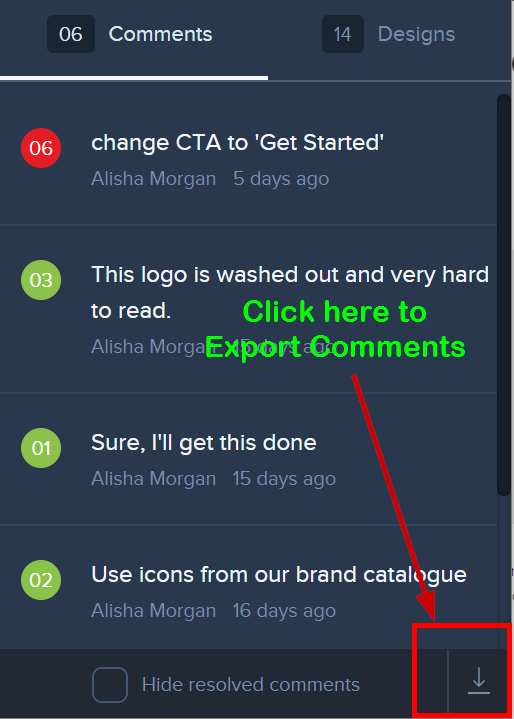 Export comments now has a print button. Don't forget to enable backgrounds in your printer settings before hitting print. You can now see all your invoices and print them out! We've added a download button so you can easily download the asset. You can now see who has approved the creative in the approval tab. Hurrah! You can now export your comments to print mode. 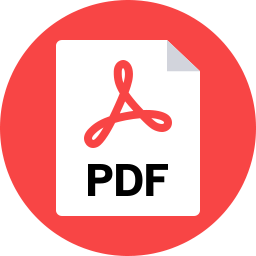 Also if your browser supports it, just print to PDF. We've update our on-boarding illustrations. We've fixed the in-app chat button. We've been listening to you and today we're excited to share multiple improvements. 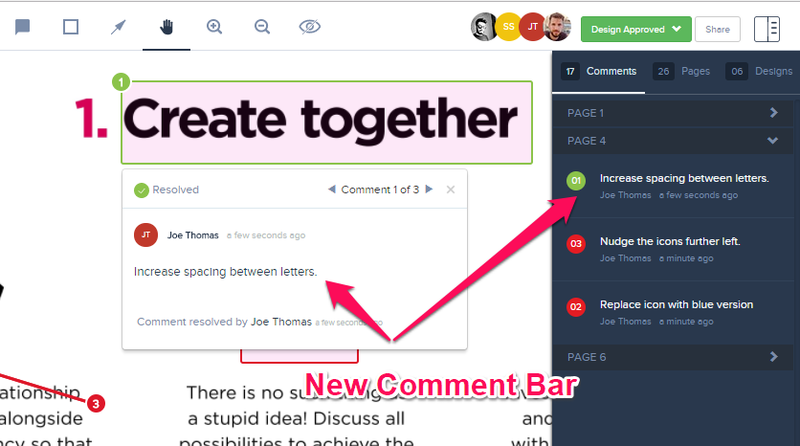 With a comment bar, its now easier than ever to see all the comments in the one place. You can filter them by pages (on PDFs) and see comments that have been resolved. 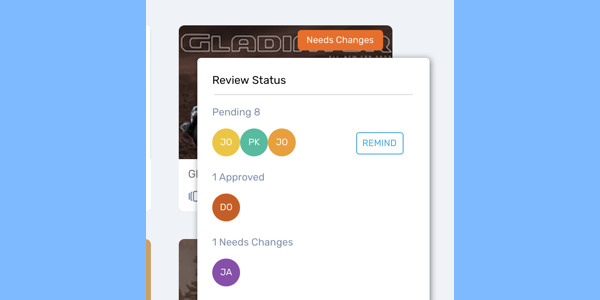 We've integrated the design tab with ability to see manage revisions. 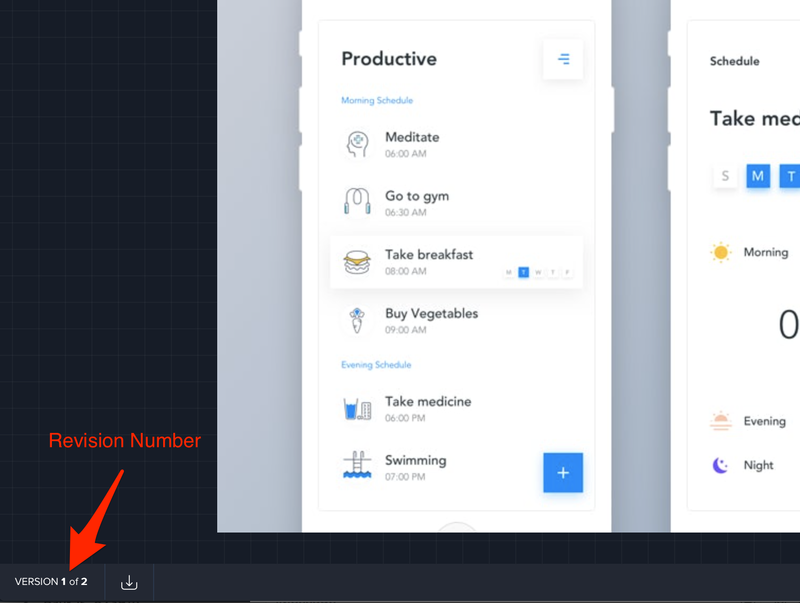 You can now see both designs and revisions in the one place, including the ability to upload new versions. Improved approval process. An approved design can no longer upload new files. We've made the all important approval function more visible after customer feedback. This should make it simple for your clients to locate the approval function. You'll find the new button now located on the top right hand side. We've also streamlined the signup page to incorporate teams. We've released yet another update. You'll need to hit RELOAD to see the changes. So please go ahead and do that now. We've streamlined our login pages with bold new images. We look to feature some of our awesome customers. Also a bunch of bugfixes and providing users prompt when things are empty. Fixed Slack issue where it was showing broken link images. Slack modal logic was flawed for change channel, this is fixed now. Connect your project to a Slack channel. You can snooze notifications and activity alerts with a flick of a switch. We say goodbye to those long URLs & Hello to short URLs. Making sharing your artwork cleaner and neater! 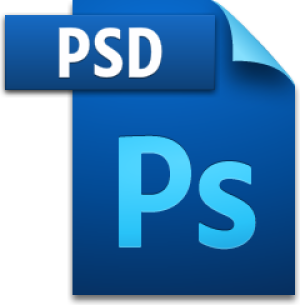 This release contains fixes for speedier PDF loading and several bug fixes related to payment forms. GoVisually now fully supports upload and annotation of PDF and PSD files. File upload feature now supports new file types.